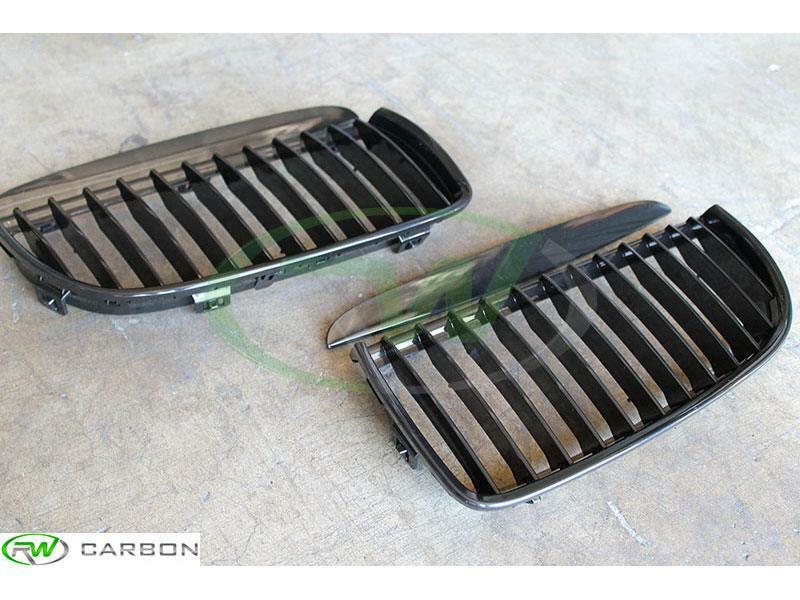 Upgrade your factory chrome grilles with these new sleek BMW E90 Gloss Black Kidney Grilles. 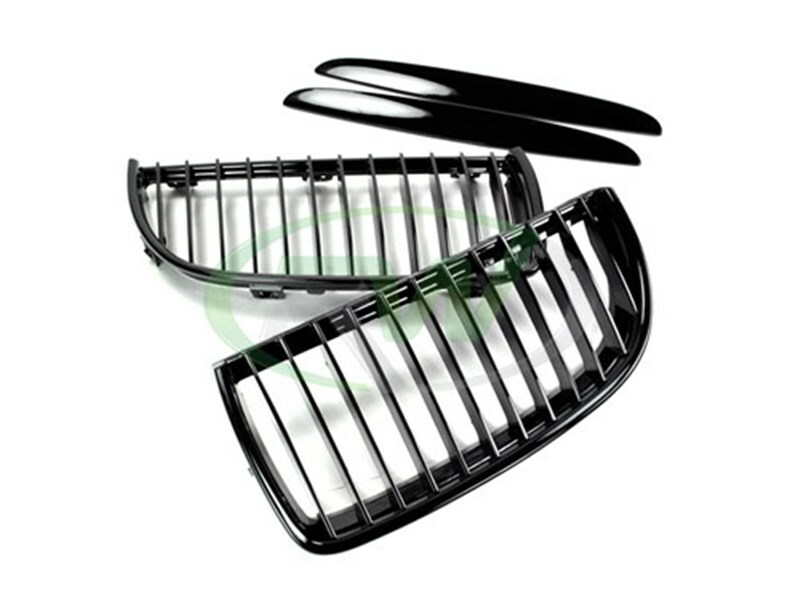 No matter the color of your 2006-2008 E90 Sedan these gloss black grilles will look great. These grilles feature high quality ABS plastic construction that will not chip from road debris. 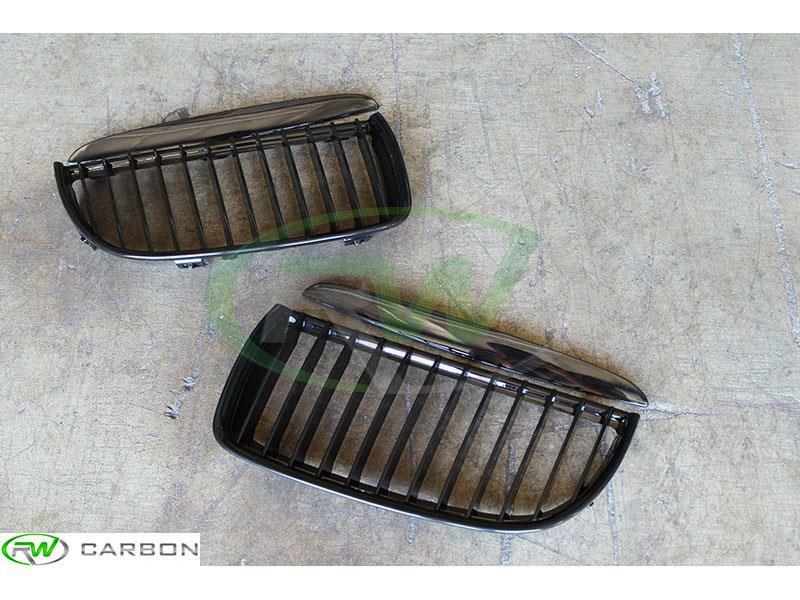 The BMW E90 Gloss Black Kidney Grilles are 100% plug and play meaning you do not need to purchase any other parts for installation. Installation can be done by any enthusiast in a mater of minutes. 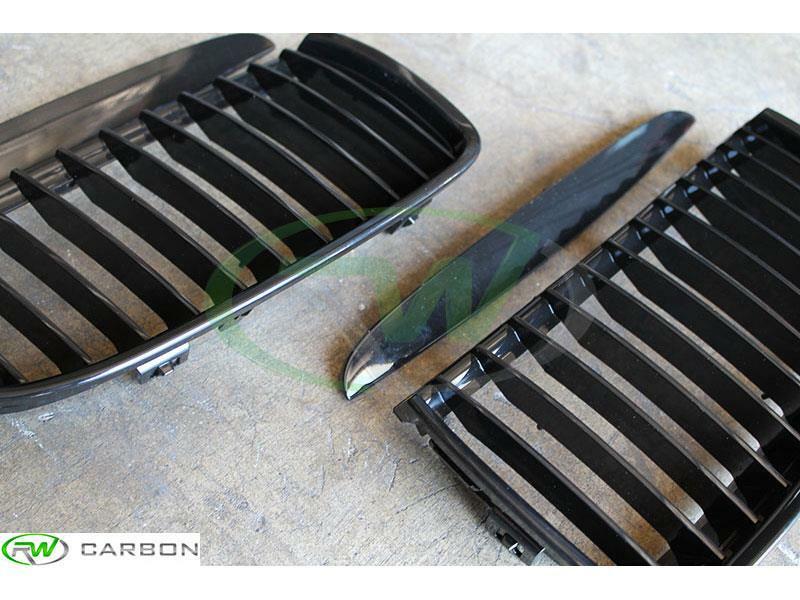 Whether you're looking to finish the look of your E90, or just get it started, these gloss black grilles make the perfect addition. 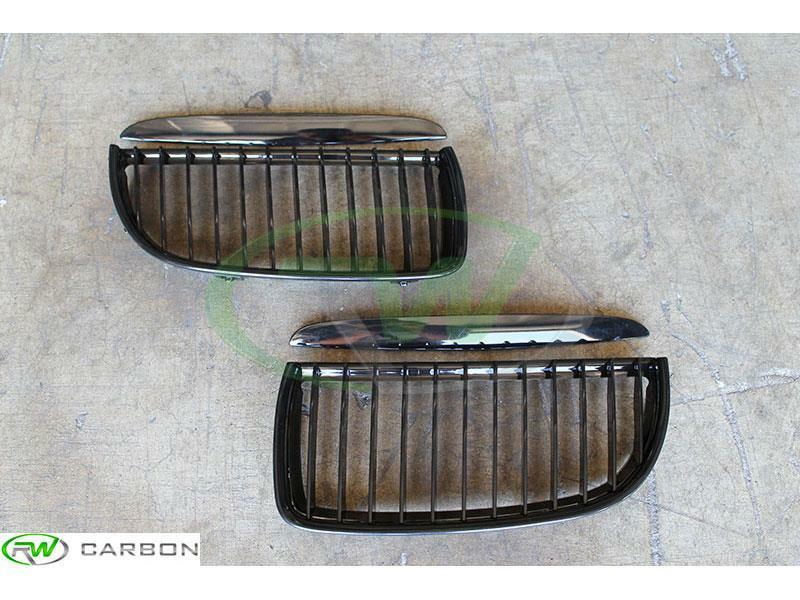 Get fast shipment and a high quality piece when you order your BMW E90 Gloss Black Grilles from RW Carbon. 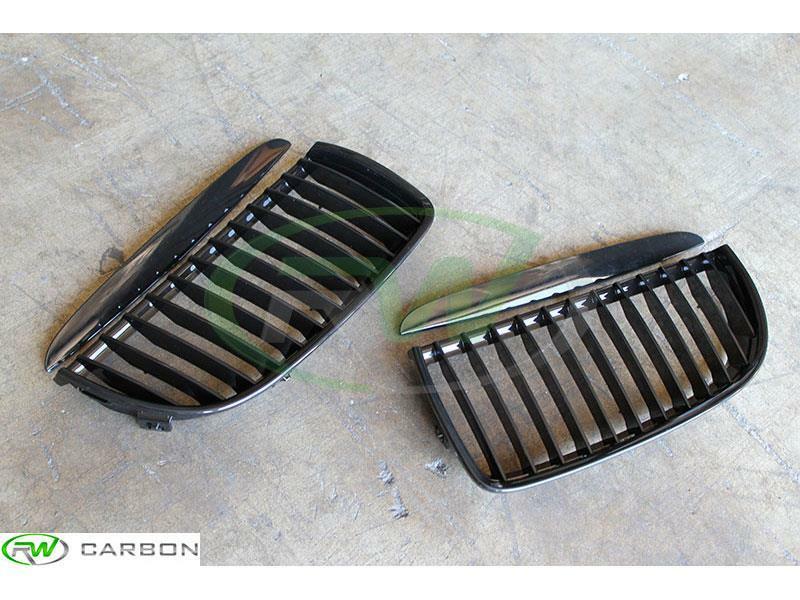 Heat the tabs inside the grilles by letting the car sit in the sun or using a heat gun. Once the old grilles are warm press on the tabs and gently pull the grille out. Once both sides are out you can install the new ones by lining up the tabs and pushing firmly until they click into place. We know there are many companies out there claiming to have the best carbon fiber exterior additions for your E90 BMW 3 series. At rwcarbon.com we pride ourselves on taking the time to quality check every piece we ship out. Many other competitors ship you a product that comes straight from overseas - without taking the time to check it. If you order one of these parts you could receive a part that is damaged, has scratches in the clear coat, or possesses overall poor carbon fiber construction. By choosing RW Carbon we make the promise to deliver you a consistent, quality product that is shipped from our Southern California location - the first and every subsequent time you order from us. One Goal, One Focus - Carbon Fiber.